John McClendon leads the firm’s municipal litigation practice. His expertise in CEQA and land use law is recognized throughout California. An experienced litigator, he regularly advises clients on pre-litigation strategies and has tried scores of cases at the Superior Court level, along with representing clients before the California Court of Appeal and the California Supreme Court. John successfully represented the Banning Ranch Conservancy in the landmark CEQA decision by the California Supreme Court, Banning Ranch Conservancy v. City of Newport Beach, 2 Cal.5th 918 (2017). 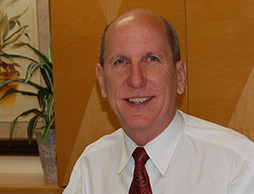 John previously served as general or special counsel to the redevelopment agencies in the cities of Anaheim, Calimesa, Culver City, Ontario (major projects included the Ontario Auto Center, Ontario Mills and the Ontario Convention Center), Orange and Santa Clarita. Prior to co-founding Leibold McClendon & Mann, John was an attorney in the Public Law Group of Stradling Yocca Carlson & Rauth.